A rainforest is a forest that receives heavy rainfall. The most notable rainforests are in the tropics or subtropics, mostly in the Intertropical Convergence Zone. The biggest rainforest is the Amazon rainforest, which is mostly in Brazil. Forests like this have extraordinary biodiversity. Biologists say over half of all plant and animal species live in the rainforest. Also more than 1/4 of all medicines come from here. Even though they only cover 6% of the Earth's land area they are still an important source of oxygen. The rainforest gets an average of 50 to 250 inches (1.2-6.3m) of rain through the year. It is warm all year round rarely getting above 34°C (94 °F) or getting below 20 °C (68 °F). It has an average humidity of 77 to 88%. Tropical rainforests occur in three major geographical areas around the world. Parts of South and Central America – the Amazon River basin, and Costa Rica. Africa – Congo River basin, with a small area in West Africa; also eastern Madagascar. South Asia and Australasia – west coast of India, Assam, Southeast Asia, New Guinea, and Queensland, Australia. Closed canopy of trees which excludes at least 70% of the sky. This definition would not suit the forests of western North America, and so the term "temperate rainforest" is not so widely agreed. The weather in a rainforest would be humid, which is wet but warm like a greenhouse. The bottom most layer receives 2% of the sunlight. Only plants adapted to low light can grow in this region. The understory layer lies between the canopy and forest floor. It is a home to a number of birds, snakes and lizards as well as predators such as jaguars and leopards. The leaves are much bigger at this level and insect life is abundant. Tropical rainforests are typically dominated by different plants and animals at different levels. The top layer is the emergent layer. Then there is the canopy layer. Under the tall canopy is the understory. The understory is made up of smaller trees, vines and shrubs. The next layer is called the shrub layer, and has mainly bushes. The bottom layer is the forest floor. This is made up of the small plants on the ground. The canopy is like a huge green roof over the forest. The trees grow up thin and straight, like pillars seeking the sun. They do not put out branches until they are very tall. Then, they spread out like an umbrella in the sunlight. The trees are so close together that very little light penetrates through to the lower layers. Many kinds of monkeys, birds, and insects live in the layer. The animals that call this layer home often never touch the ground throughout their entire lives. They find everything they need existing within the canopy. Water can be accessed from the boles of trees, if not, the leaves and epiphytes that grow in the canopy can supply that need. The animals eat the leaves and fruit of the trees, insects, or other animals. The tall canopy trees must be able to reach the sunlight high in the air and still get nutrients from the thin soil on the forest floor. Their roots do not go deep into the soil because there is nothing there for the plants to reach. Instead, the roots spread out in all directions along or just under the ground. That way they can quickly make use of the nutrients from the recycled plants and animals that have fallen to the floor. The shrub layer is mainly made out of bushes. 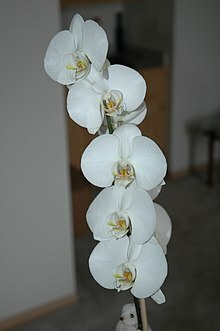 It contains most of the rainforests orchids, because the orchids use water from the forest floor, vegetation from the understory and sunlight that is reflected from the canopy layer leaves. It is the smallest layer of the rainforest, yet contains over 84% of the rainforest's orchids. It is normally very dark in the shrub layer, apart from little spots of sunlight that comes through empty spaces of the emergent layer. Despite not having very much sunlight, the shrub layer is very humid [wet and warm]. Many insects live in the shrub layer such as scorpions, beetles and tarantulas. Many people categorize the rainforest into 4 layers not 5. They consider the shrub layer to be part of the understory. The ground level is called the forest floor. Snakes, Tapirs, Jaguars, Tamanduas, and Gorillas are just a few of the species that live here. It is dark on the rainforest floor. Insects, giant centipedes, spiders, ants, and beetles are also very abundant here. The floor of the rainforest is often very open and easy to walk across. That is because so little light reaches the floor that very few plants can grow there. One type of plant in the rainforest does not need soil. These plants are called epiphytes, or air plants. Air plants live on the branches of trees in the canopy or understory, with their roots out in the air. In the humid rainforest, they collect water from the rain that falls on them. Snakes live in the trees and on the forest floor. They eat frogs, eggs, birds, insects, and small animals. Some of the snakes, like the fer-de-lance of Latin America, are poisonous, but others are not. One large non-poisonous snake is the anaconda of South America. It is one of the largest snakes in the world. It kills its prey by wrapping itself around the animal and squeezing it until it cannot breathe. Many colorful birds also live among the canopy of the rain forest, and there are also animals that live on the forest floor. The tapir is a forest animal that looks like a large pig. It is actually related to the horse and the rhinoceros. They live in South American and Asian rain forests, eating leaves, twigs, and fruit. Tapirs are among the animals hunted by the big cats of the rain forest. Jaguars, leopards, and tigers are the largest predators of rain forests. These cats have beautiful fur coats that have been hunted for the fur trade for years. The spotted coats of the jaguar and leopards were especially popular for fur coats. Today most countries are trying to protect their big cats, but many are still hunted illegally. These are only a few of the animals and plants in the rainforest. About half of all of the different kinds, or species, of plants and animals in the entire world live in rain forests. Many of the plants and animals, especially insects, do not even have scientific names, because they have never been classified by a biologist. There are some serious problems concerning the rainforests that need to be fixed. Rainforests are being cut down too quickly. Every year an area about the size of West Virginia is being destroyed. This is a problem for everyone. Rainforests are so large and thick that for many years very few people lived or went there. Today, however, that is changing. Millions of poor, often hungry, people live near the rainforests of the world. These people are desperate for a better life, and they think they can find it in the forests. Settlers can get into the rainforests because modern machines have opened roads deep into the jungle. The roads are usually built by businesses who want to cut down trees or dig up minerals in the forest. Governments build other roads for trade and to allow settlers into the forest. Poor people come into the forest by the thousands on the roads and take land to raise food. They burn off the trees and plants to make a field. Then they plant crops for food and to sell. All around them other farmers do the same, so there is no forest left to grow back. The new farms can only grow crops for a few years in the poor soil. The farmers then sell the land to a cattle rancher or just leave and clear a new piece of land. The soil is so poor that it will not even grow grass to feed cattle for more than a few more years. By then, the ground is hard packed and grows only a few weeds. The rainforest is destroyed and nothing can be done with the land. If this continues long enough, the forests will be destroyed and the farmers will have no place to move. Then those people will starve , because there will be no land left where they can grow food. Forcing them to stop cutting down the forest will not help, because they would just starve now instead of later. New ways need to be found for these people to live on the rainforest land without destroying it. Also, no one knows how destroying the rainforests will change the earth. We know that less rain will fall once the trees are gone. That may cause some rivers, which supply water to cities around the rainforest, to dry up during part of the year. Also, burning trees puts carbon into the air. Carbon absorbs heat from the sun. Will the burning of so many trees change the air and make the climate on the earth warmer? Experts are arguing about it, but it might be happening. The rainforests are also the source of many things that are useful to human beings. As many as one out of every four drugs bought at the store were discovered in rainforest. Coffee, chocolate, bananas, corn, tea, sweet potatoes, Brazil nuts, rubber, and tapioca all came from the rainforest. Very valuable wood is taken from the trees of the rainforest. Mahogany, teak, and balsa wood come from there. Those trees can not be grown without the thick, wet, warm rainforests. Thus, the loss of the rainforests would hurt other people besides those that must live there. 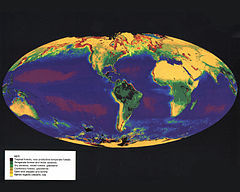 Tropical rainforests are located in a band around the equator (Zero degrees latitude), mostly in the area between the Tropic of Cancer (23.5° N latitude) and the Tropic of Capricorn (23.5° S latitude). This 3,000 mile (4800 km) wide band is called the "tropics." ↑ Neil Champion (2006). Tropical rain forests. Black Rabbit Books. p. 23. ISBN 9781583405086. ↑ "A review of past and current research". Ecotrust. Retrieved 2008-10-23. ↑ 5.0 5.1 5.2 5.3 5.4 5.5 5.6 5.7 5.8 Buskey, Theresa K. LIFEPAC History and geography. Alpha Omega Publications. p. 12. ISBN 978-1-58095-155-5. This page was last changed on 1 April 2019, at 13:35.